Tomorrow, the HTC One M9 goes up for sale, but enthusiasm towards the new flagship has dwindled since people found out about the newly launched, China-exclusive HTC One M9 Plus, the better flagship. Still, HTC One M8 users are many out there, because this flagship was one of the best ones out there. 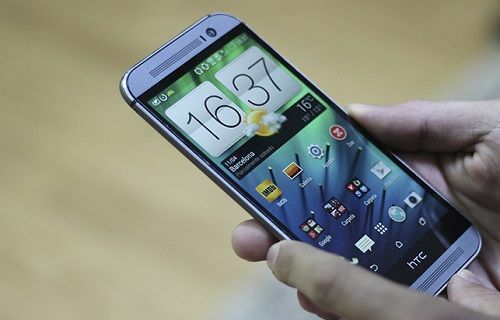 News about the HTC One M8 has come to light this week, and it concerns the Android 5.1 update and the Sense 7.0 update. Most of you probably know that the HTC One M9 will run on Sense 7.0 once it is shipped to customers, but many were left wondering when Sense 7.0 would be released for the HTC One M8 in an OTA. Unfortunately, we do not have an exact release date for the Android 5.1 Lollipop update for HTC One M8, but we do know that it will come with Sense 7.0. The HTC One M8 Android 5.0.2 Lollipop update is currently still rolling out, which means that once that is completed, Android 5.1 is next. Mo Versi confirmed on Twitter that Sense 7.0 would be part of the Android 5.1 update for the HTC One M8, and fans are already excited to test the new UI from the Taiwanese company. Early HTC One M9 hands on reviews demonstrated that Sense 7.0 is rather smooth and easy to use, and while it does not change a lot of things, it does blend in with Lollipop’s Material Design quite well. Most likely, the Android 5.1 update for the One M8 should see the light of day at the end of the month, or in the beginning of May, as HTC is speeding up their update cycle. Then, it will depend on carriers to release the update to their customers as fast as possible. Sense 7.0 improves the overall user interface and adds functionality, all the while increasing performance and stability. or at least that is what we’ve seen on the One M9. Once it hits the One M8. alongside Android 5.1, the new UI will eventually make the experience with the phone smoother and it might also contain some camera updates, as well. Rumors say that much like how HTC fixed the One M9 camera in a software update, they might send out a similar one to the One M8 which would work on the bad post processing of the camera software. That would be very neat, although it’s an unlikely development. At least we’re sure that Sense 7.0 and Android 5.1 will be coming in a package.